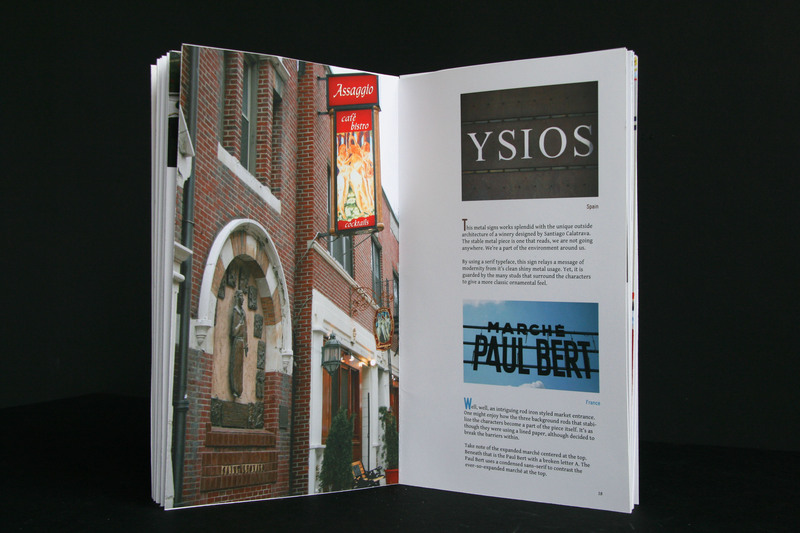 This is a book about my type–inspired photographic journey around the world. The layout begins with a very brief introduction of typography. It is then divided by two key sections, Store & Building Front Signs and Road Signs. Within each of these sections there is a historic summary along with brief explanations of the typographic elements found within the letterforms. 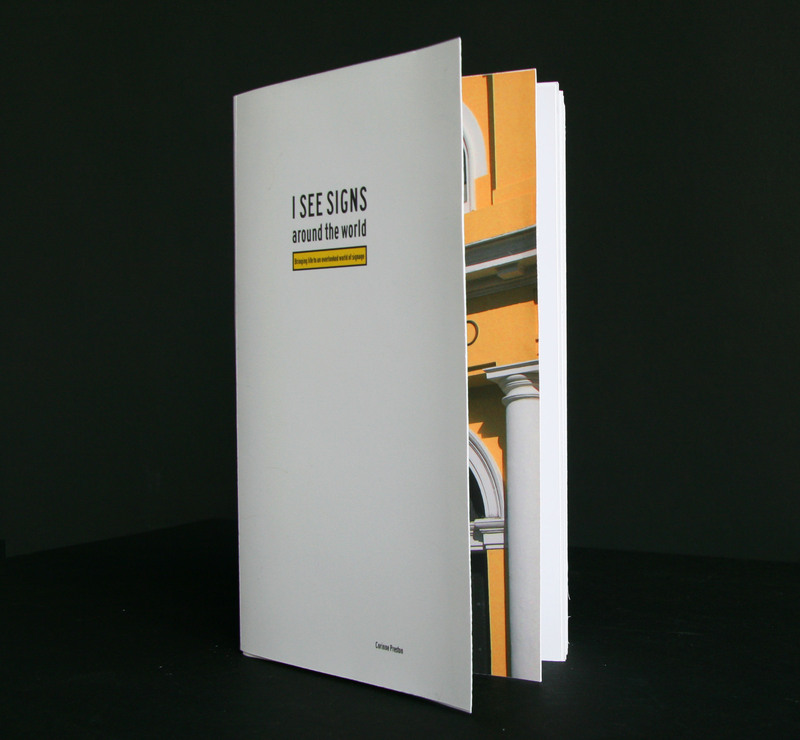 I See Signs book was designed to provide viewers with a quick read of global typography. The personal photos capture letterforms in various areas around the world such as Austria, France, Germany, Monaco, New Zealand, Spain, South Africa, Turkey, and United Kingdom.